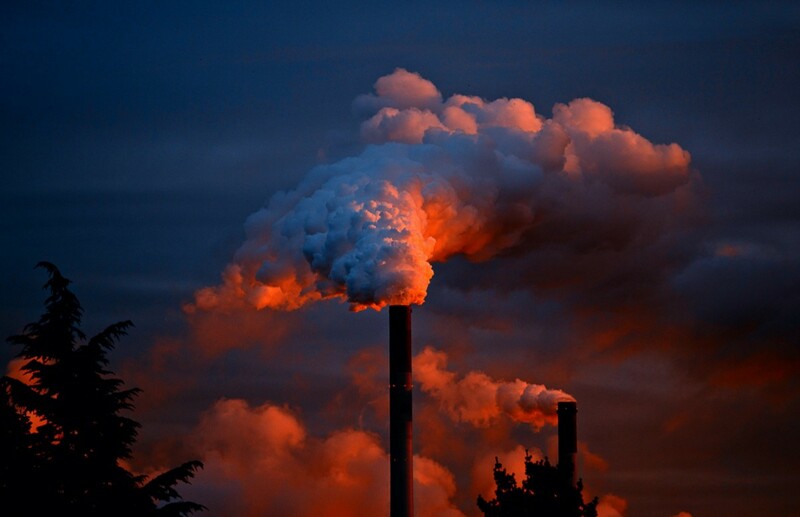 Tale of Two Cities-Pollution in Chattanooga – Wynd Technologies, Inc.
Chattanooga, Tennessee isn’t exactly famous. In fact, those living outside of the South have probably only heard of it in passing. And to be honest, that’s entirely fair! Chattanooga is your typical, all-American, mid-sized city. 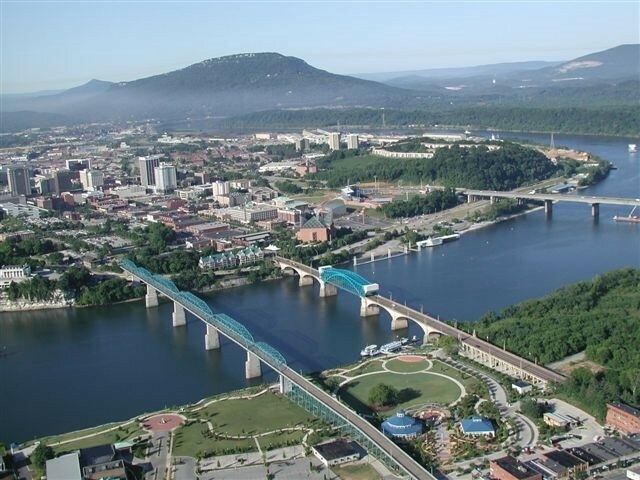 Those who have heard of Chattanooga probably know the fun facts; it was the site of the world’s first mini-golf course, the invention of moon pies, and the first coca-cola bottling factory. Better yet, stars like Peyton Manning, Usher, and Samuel L. Jackson call it their hometown. But the most interesting — and least known — thing about Chattanooga is its environmental history. Back in 1969, a Federal Air Quality Report labeled it the most polluted city in the United States. Flash forward to 2017, and the American Lung Association hails Chattanooga as one of the cleanest cities in the entire country. To make a long story short, Chattanooga’s air quality reached drastic levels in the 1960s and 1970s as a result of unchecked industry. Emissions for industrial zones, railroads, and coal furnaces went unregulated. Day after day and year after year, a wide variety of pollutants were being pumped into both the air and Tennessee river. And that was just the way of life. While Tennessee brings pictures of farming and country music to mind, that wasn’t Chattanooga’s reality. Around 1870, the city was home to fifty-eight industrial operations ranging from ironwork to furniture factories. By 1885, it was the proverbial center of iron making and by the 1920s the second largest manufacturer of steam boilers. That booming (and unregulated) industrialization continued through 1970. To make matters worse, Chattanooga was situated in the middle of a valley. Put simply, the valley acted as a bowl and held in all of the pollutions. As a result of air inversion, cold air blowing over the mountains would get trapped alongside pollution under a layer of warmer air. This was in direct contrast with other cities notorious for industrial pollution. In fact, it’s a common phenomenon for air pollutants to settle miles and miles away from their start. For instance, pollutants from China are finding their way over the Pacific to the United States. Because Chattanooga didn’t enjoy that “benefit”, it was forced to wallow in its pollution. It’s hard to imagine just how overwhelming the pollution was. A great way to put it into perspective is the report that residents were forced to use their headlights during daylight hours — the haze was too thick to see through otherwise. Even walking to work would leave a layer of soot on their clothing. It was by no means an exaggeration to call it the dirtiest city in the nation. How Did it Get So Good? Chattanooga’s miraculous turnaround was a result of good timing, smart government, and community involvement. First and foremost, industry had begun to decline in the 1960s. For a city that was once and industrial capital, it was shocking to have only 30.4 percent of residents working in manufacturing as of 1970. The city was simply in need of reorganizing. Chattanooga’s new economic reality came at the perfect time. When the city was declared the dirtiest in America in 1969, leaders were already preparing for change. And taking shame in that designation, they decided to incorporate improving the environment into their economic vision. In fact, David Wade — a key player in Chattanooga’s revival — regularly says the report hurt the community’s feelings, and that’s why they were so ready to act. Just months after receiving its infamous title, the city’s government passed the Air Pollution Control Ordinance, creating the Air Pollution Control Bureau. This group still exists today and continues to set restrictions on carbon emissions. As a result of both legislative and community pressure, every industry was in full compliance with the organization’s’ standards as of 1972 — less than three years later. You can still see the legislative commitment to clean air today. Chapter Four of Chattanooga’s City Code is solely dedicated to air pollution. It defines every type of pollutant, the types of equipment used by factories, and every imaginable aspect impacting air quality. The city’s leaders at the time also craved a cultural shift. Chattanooga needed to be rebranded and it would take every facet of the city to make that happen. As a result, regular community meetings were held. Ultimately, that community input was used to create a list of forty goals, ranging from improving public housing to cleaning up the river. In time, roughly $739 million was invested into those efforts. A great example is the city’s approach to transportation. First, it developed an electric-bus covering large portions of downtown. The government then established large parking lots throughout the city. The revenue from those lots was used to eliminate bus fares. Shifts like this ultimately resulted in Chattanooga reaching federal air quality standards in 1989. But the problem wasn’t solved. The city had yet to be declared the cleanest in America, and its economy was still trying to navigate a shift from industry. To address this, local philanthropists, nonprofits, and the city government sought to revitalize the city’s downtown. In 1992, the Tennessee Aquarium was built. Today, it’s the largest freshwater aquarium in the world. It was meant to both educate the public on conservation efforts and bring in tourists. Throughout the 1990s, it brought in roughly 1.3 million customers a year. It generated $133 million just in its first year of existence. The shift to a tourist and nature focused economy would continue. Chattanooga created public greenways, parks, commercial space, and residential space in place of industrial zoning. They diversified the city’s economic portfolio, adding tourism, service, and tech to the mix. In fact, its modern nickname is the “Gig City” as it boasts the country’s fastest fiber optic speeds and a booming “innovation district” full of tech start-ups. Randi Zuckerberg even paid the city a visit back in 2017! Chattanooga could have easily thrown its hands in the air and said it succeeded. In 1969, it was the dirtiest city in the United States. And just twenty years later, it had become a southern hotspot for outdoor activities. However, “good enough” was never an option for the city. Throughout the 1990s and 2000s, federal air quality standards continued to tighten. Every time the city met one standard, the permitted levels of pollutants dropped. And that’s exactly what happened in 1997. The city was then required to create an Early Action Compact with the Environmental Protection Agency. That compact immediately implemented new policies, such as countywide emissions testing, burning regulations, retrofitting school buses, lowering speed limits, and creating a public outreach program. By the time 2005 came around, the EPA reported that Chattanooga had nearly attained federal standards. But those very standards were tightened once again in 2008. This time around, the city invested in encouraging carpooling, installing bike lanes, and increasing education. But it’s unfair to give all the credit to the federal government. Chattanooga’s leaders never stopped working to improve the environment — the tightening standards were just an additional push. Because the economy shifted to tourism in the 1990s, Chattanooga needed clean air and water. The city’s dependency on a healthy environment is made even more clear when you consider how seriously the city takes its two-time designation of “Best Town Ever” for outdoor activities.